I recently had the fun task of helping a friend with some color matching. 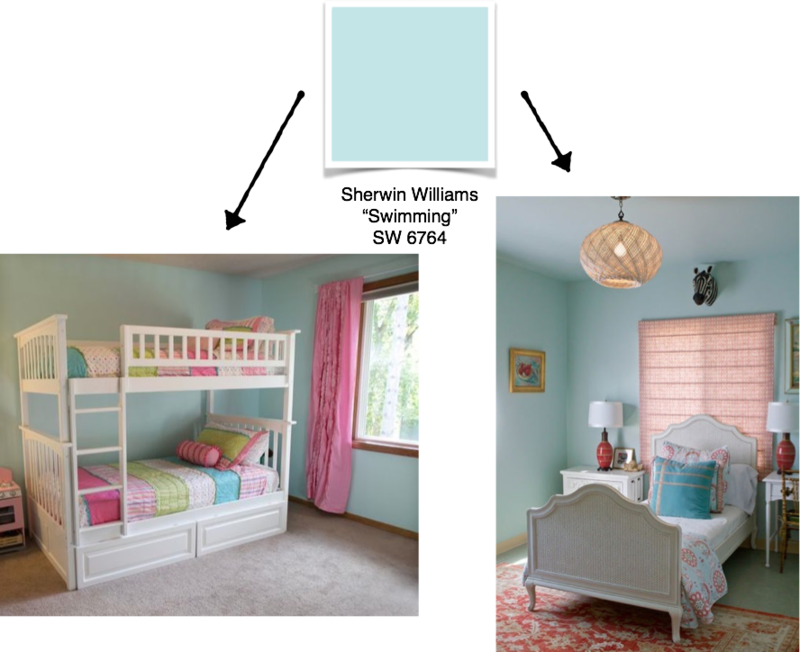 She had taken a photo of a light blue room in a house (while house hunting out of state), then brought the photo home and showed her daughter, who in turn fell in love with the shade of blue and now must have it in her bedroom... At which point I enter with a color match to the rescue! It's a pretty aqua blue that's quite vivid but not too over the top. It's the perfect color for an almost teenage girl who happens to love blue. 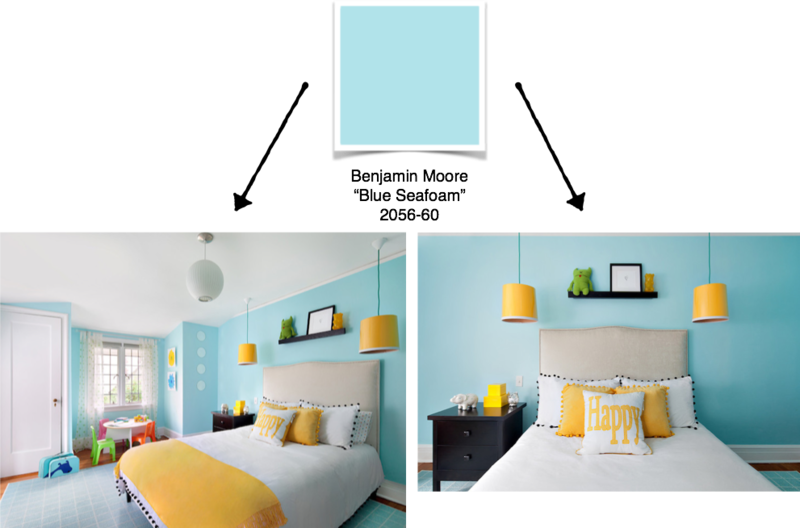 When I help clients with paint colors, I always recommend that you paint large sample swatches on the wall and view it at different times of the day - in morning light, afternoon light, and overhead/lamp light at night - just to make sure it's the color you love in all lighting situations. Paints can come across as much darker in a room without much natural light, just as they can come across as lighter in rooms with a lot of natural light. 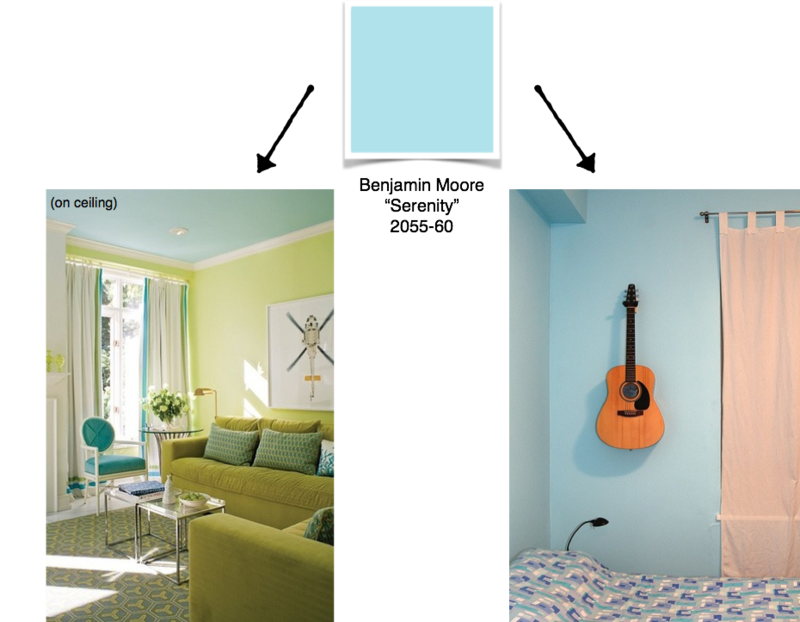 You may ask how I picked the color recommendations and what "color research" consists of... First, I go through my paint decks to find colors similar to the inspiration room color. Next, I find photos of other rooms painted in the colors that I find in the paint decks so I can see what it looks like up on a wall. 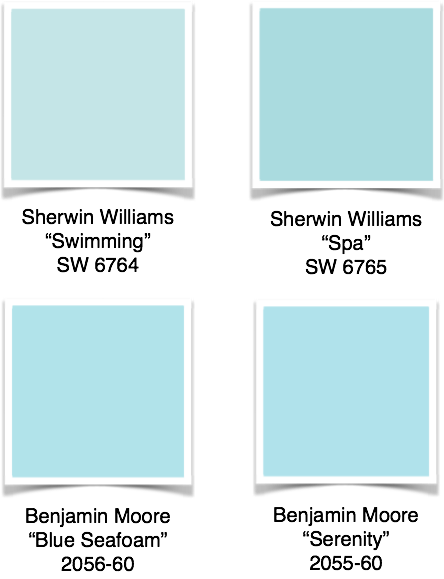 Finally, I determine which color selections best coincide with what my client is looking for and make my final recommendations. 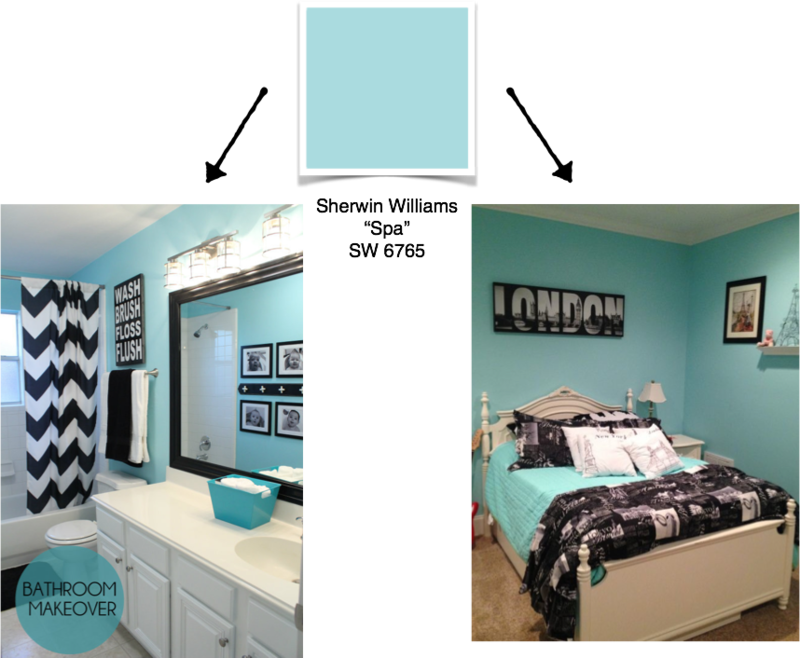 For this friend, here is the order in which I recommended the paint colors to match her inspiration room. Do share what color you think would be best! And, have a happy week!! The painting with color matching ensures a smooth, professional look when repairs have been made. Thanks for sharing this useful post.